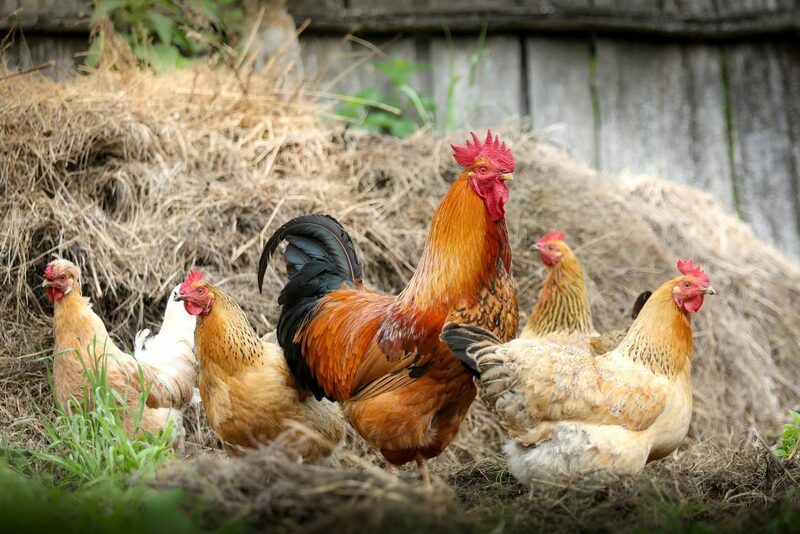 OAHN small flock poultry online veterinary course: (FREE) Veterinarians may access this free course and associated resources by logging in to www.oahn.ca (obtaining an account is free and easy). Then click this link to access the recorded lectures from this one day course (this current link is from the 2016 course, 2019 course page will be added after April). 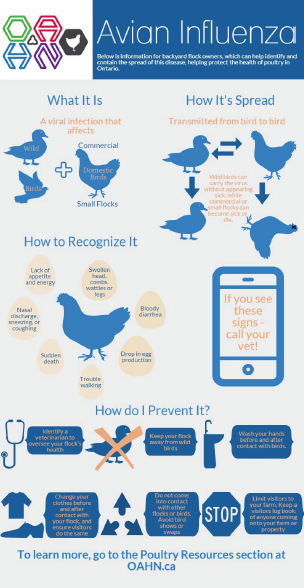 VIN: Veterinary Information Network has case help for small flock poultry veterinarians, including a course, calculator for adding medications to water, euthanasia and more. Search small flock poultry on VIN’s page for info. 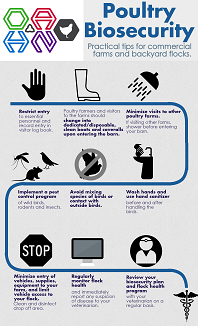 FREE Poultry Biosecurity Kit – Keeping your Birds Healthy, Biosecurity Basics for Backyard Flocks, which can be accessed here. Ontario Animal Health Network (OAHN) small flock veterinary listserv: (FREE) listserv for veterinarians interested or working on small flock poultry. Veterinarians can email the group to access help from experienced poultry practitioners, and over 40 other practitioners interested in small flocks. Email oahn@uoguelph.ca to be added to the listserv. You must be registered and logged in to view the page.